Are you a coach who wants to get more clients or sell more programs? Chances are you’re on the lookout for strategies to increase your stream of clients on a lean marketing budget. There are many ways you could market your services, but what works best for a coach? And how do you get results fast, without breaking the bank? We talked to Marc Mawhinney, Founder of Natural Born Coaches to ask him these questions. Marc specializes in helping coaches get more clients without using paid advertising. Through his popular Facebook group, The Coaching Jungle, as well as a suite of mentorship and online training programs Marc teaches coaches how to scale their businesses through organic marketing strategies. Before we get into the how, let’s let’s talk about what we mean by organic marketing and understand how it differs from paid strategies. Organic marketing refers to any activities designed to bring customers to you naturally over time, without paying for links or specific content to be pushed to them. Otherwise known as inbound marketing, these strategies work by building up a loyal fan base over time and cultivate authentic relationships with your audience. However, organic marketing doesn’t necessarily mean free. Doing it well requires time, energy and likely a few dollars to ensure you have the right tools to execute on your strategy. Organic marketing is based on trust. Especially when running an online coaching business, you want to build permanent pathways to your business so that people will find you based on the value you provide. In contrast, paid strategies rely on pushing content to new target audiences for the purpose of driving a specific action, such as making a sale. Paid strategies can work well when used in tandem with organic strategies. But if you haven’t spent time on your organic marketing efforts, your paid ads are going to fall flat. Because what happens if an ad brings a stream of prospective customers to your site that hasn’t been updated in months? Or if you’ve advertised an industry-leading coaching program, but there’s no one else talking about it on the web except you? To grow your profile as a coach and build up that study stream of clients, organic marketing can help drive awareness for your brand across your industry and peer network. Guest blogging. By sharing content that is helpful to your ideal audience on other websites, you’ll build up your profile as a helpful expert faster and get your message out to a new audience. Social media. In deciding whether to use Twitter, LinkedIn, Facebook, or Instagram, identify where your audience is most engaged and invest your time there. Using relevant hashtags while linking to relevant content on your site or blog will help people find you faster. Podcasting. Podcasting is a great way to elevate your status as a thought leader in your space. You can get started with podcasting by either hosting your own show, or being a guest speaker on other shows. We’ll dive a little deeper into leveraging podcasts in the next section. Online Communities. Having a community to connect with your audience serves as an engine for all your marketing efforts. In addition to establishing yourself as a helpful facilitator, you have a way to engage with your audience in real time. Email Marketing. As you build up your email list, keep your audience informed and engaged with how you can help them. For more details on how Marc leverages email marketing to grow his business, watch the video above! 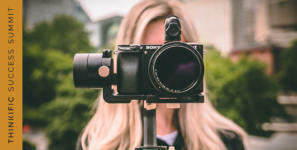 Of course, there are other organic marketing methods you could implement such as SEO, video creation, and a robust content marketing strategy. But the five above are a great place to start! For Marc, there are three key components to his organic marketing strategy that have helped grow his business to where it is today: podcasting, a Facebook group, and a daily email system. Keep reading for a few examples, or watch the video above for even more detail on how Marc uses these methods. Podcasting is an effective strategy to drive authority in your niche or industry, providing another channel for prospective customers to find you. If you’re new to podcasting, you have a couple of options to get started. Get featured on other people’s podcasts, or start your own. While the latter will take a bit more time and effort, having your own show serves as a helpful pillar in any organic marketing strategy. Wondering how to get on a podcast? Here are some actionable tips. Work your network. Once a week, post on Facebook, Twitter or LinkedIn and tell the world that you’re looking to be featured as a guest. Include 2-3 topics that you’re interested in talking about to make it easy for people to understand the value you’d bring to their audience. Offer a podcast swap. If you have your own podcast show, this is a great option. If not, brainstorm another way you could offer value mutual to the podcast host. Start today! The sooner you communicate your intention, the sooner you’ll get conversations rolling. Remember, locking in a date to record an episode can take time! There are millions of podcast shows out there. Chances are, someone is looking for a guest to interview on the very topic you have to share. 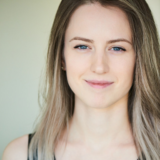 Related blog: For more tips on how podcasting can benefit your business and for more tips on getting started, check out this blog on How Starting A Podcast Can Help Boost Your Online Course Sales. Having a Facebook group is a great way to attract new coaching clients. Marc’s group is called The Coaching Jungle. While the group has over 16,000 members today, Marc started the group 2015 with no followers. How did Marc grow it to the thriving online coaching community it is today? Here are Marc’s top 6 tips to growing an engaging Facebook group and how to leverage the online community with intention. Related article: Don’t have a Facebook group yet? Check out our complete guide on How to Create a Facebook Group For Your Business. Have fun with your group! This comes down to the banner you use, and the types of content you post. Make it entertaining and educational, and people will stick around. Pro tip: don’t waste your top pinned post on something boring like a generic welcome or group rules. Instead, include a strong call to action pointing to what you sell. Work your welcome message and rules around your call to action. Be consistent, and active. Posting only once or twice a week is not enough. As Marc puts it, “if you’re not busy and active in your group, why would anyone else want to be?” If you’re actively engaged and posting 3-4 times a day, you’ll stand out among the sea of 500+ Facebook groups out there. Don’t hang back on what you have to offer or be afraid to sell. Many group owners are wary of selling for fear appearing overly salesly. One way to combat this is to use your group rules to set expectations up front on what programs you offer. If people are opting in to join your group, they want to know how you can help them. Buy your group URL. Purchase a domain that sounds like your group to make it easy for people to share. 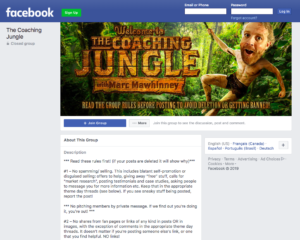 For example, www.thecoachingjungle.com redirects to Marc’s Facebook group URL. This can help if you’re on a podcast and want to direct people to your group without spelling out an awkward Facebook URL. Pro tip: Keep your group name simple. Using unnecessary punctuation will make your group hard to find if users don’t key in the exact search term. Want more tips on how to create consistent, engaging content every day? Watch the video above to get Marc’s tip 3 tips that help him show up consistently in his group. These days, Marc emails his list once a day, at the same time each day. Using this approach will inevitably drive some people away. But ask yourself, many of those people would have bought from you anyway? In deciding whether this approach is right for you, it’s helpful to get a sense of how often does your most engaged audience want to hear from you. Maybe it’s every day, or maybe it’s twice a week. The only way to answer this question is to test the email strategy on your own audience. What Content Should You Include In A Daily Email? Keep your daily email to 200-300 words. You’re looking to spark meaningful points of connection each day, not publish earth-shattering content every time. Keep it simple: tell a story, give a lesson, or provide something entertaining in your emails. Ensure you include a CTA in every single email. By now you’ve probably got some new ideas for how to try out organic marketing strategies in your business. But how do you make sure your marketing activities are translating into a sales funnel, and direct people to opt-in to your coaching programs? Meaning, create as many interesting and entertaining touch points as possible throughout your business to make it really hard for someone to leave without extracting value. 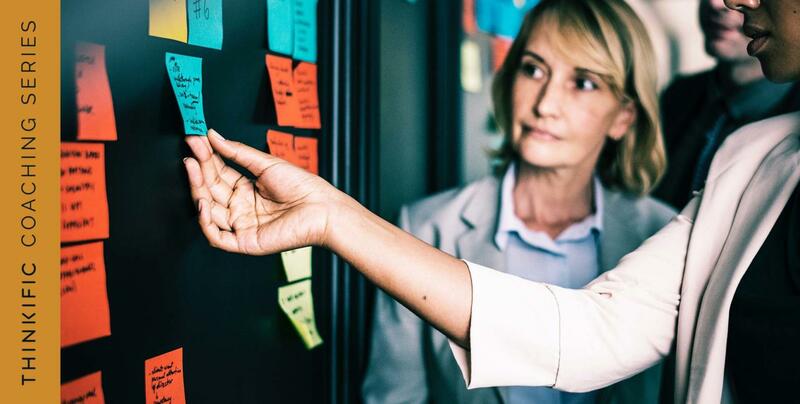 Across each of your communication channels, think about ways you can mention opportunities to connect further down the funnel. For example, if your top of funnel activities include running a Facebook group or podcast, make sure to talk about how else people can connect with you through live webinar training, free PDFs or guides you’ve created. To hear a breakdown of Marc’s sales funnel and how he creates digital touchpoints with his audience, watch the video above! As you look to implement new marketing strategies for your business, watch out for these common challenges. Here are some helpful tips from Marc on what to avoid. Paid ads will not solve your client acquisition problem. Paid ads can work, but using them exclusively without investing time and effort into other organic strategies is not a good approach. Add paid ads into the mix once you’ve determined that your current marketing efforts are resonating with your audience. Steer clear of magic bullets. Show up for your community each day with a combination of the strategies we discussed, and there is no need for 6-figure magic systems. While it may take time, you’ll net out in the long run and build authentic equity with your audience. Connect with Marc at www.naturalborncoaches.com and the Coaching Jungle Facebook group. Want even more strategies for getting started creating your own online course? 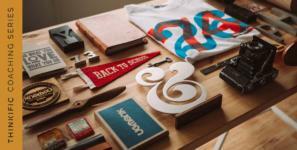 Download the complete Thinkific guide to creating and selling online courses.